I Hate Models is set to make his debut in Singapore next weekend. The Parisian electronic/techno producer grew up as a fan of hip-hop, punk and heavy metal. He first began experimenting with electronic music towards the tail end of his time in high school when he heard an album by one of his favorite metal bands get released as an electronic remix EP. I Hate Models belongs to a rare breed of producers who doesn't listen to his own genre, instead seeking inspiration in synthwave and other ambient styles. While he prefers to remain unrecognized so fans can solely focus on his music, he often stresses that masking his identity with a bandana isn't a cheap gimmick like the ones adopted by acts such as Marshmello and deadmau5. 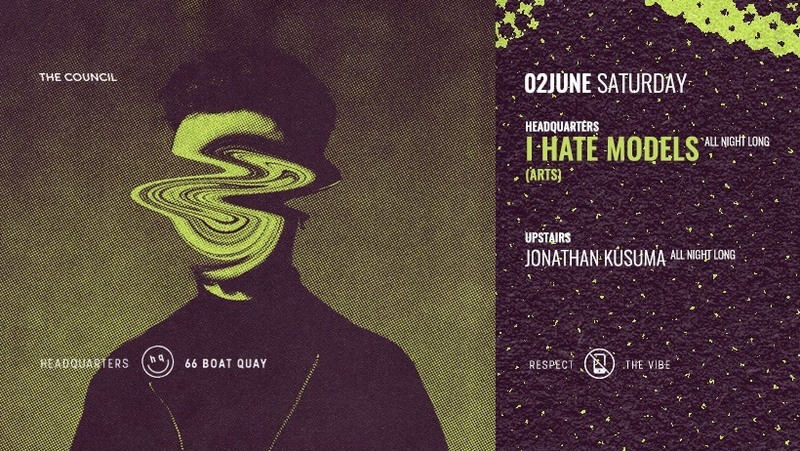 I Hate Models will be joined by Jakarta's Jonathan Kusuma at The Council this June, who will be bringing his unique blend of everything from cosmic to tribal and acid music to Singapore. I Hate Models will be performing at Headquarters while Jonathan Kusuma performs upstairs. I Hate Models will be performing in Singapore at Headquarters (The Council) on Saturday, 2 June from 11pm to 4am. Tickets will cost S$25 and can be purchased at the door. In the meantime, check out I Hate Models' nine-minute epic 'Requiem Of Desolation' below.